The South Pole Telescope (SPT) is a new 10-meter telescope at the Amundsen-Scott South Pole research station. 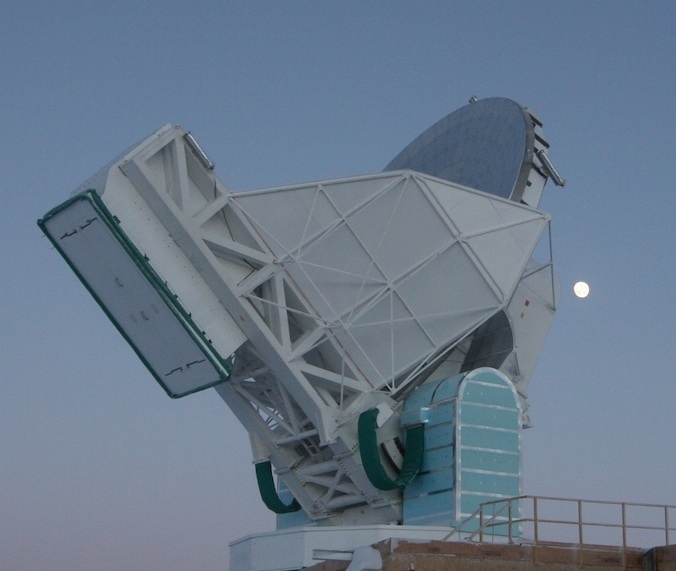 Taking advantage of the exceptionally clear, dry, and stable atmosphere at the South Pole, the SPT will map large areas of the sky with high sensitivity at millimeter and sub-millimeter wavelengths. The initial goal of the SPT is to explore the nature of dark energy, an unexplained phenomenon responsible for the observed acceleration in the expansion of the universe. The SPT will search for massive clusters of galaxies by looking for spectral distortions in the cosmic microwave background. Dark energy inhibits the growth of galaxy clusters, so studying the population of clusters through cosmic time will constrain models of dark energy.